Although blockchain technology is in its infancy, it has made frequent headlines recentlydue tothe rise in popularity of cryptocurrencies like Bitcoin and blockchain applications’ growing implementation. Financial institutions, ranging from giants to SMEs, are rapidly adopting this new technology. However, blockchain is still viewed as an adversary by many in the traditional banking sector. Although there is a knack for innovation in finance, most organizations are unwilling to delve into experimentation and deploy new technologies. BANKEX, a USA based project was created to break this logjam. The company focuses on providing IT-technology solutions that not only mitigates the challenges of conventional finance models, but also improves the overall customer experience. 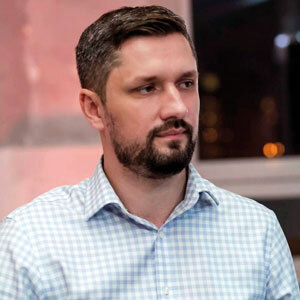 “We bridge the gap between the traditional banking and finance solutions with unique as well as flexible products and services for capital markets, investment, micro-financing and futures markets,” says Igor Khmel, Founder of BANKEX. Exploring new frontiers in the financial ecosystem, the company has developed a unique tokenization technology—backed by IoT, blockchain and smart contracts—that turns a real, validated asset into a token and places it on their market for trading. The Fintech industry, these days, is vying to integrate with IoT. Working in concert with this phenomenon, BANKEX brings the concept of the Internet of Assets (IoA) to the fore. IoA is a decentralized network that can evaluate real-world assets automatically and instantly. This can be best understood by the analogy Khmel has put forth, “Suppose, you’re a farmer and want to expand your rabbit ranch with an aim to be a nation-wide supplier. Also, let’s assume that you have been in the business for long enough and have certain credibility. However, you are not able to secure a bank loan to start your project. BANKEX can step in here and create a farm token, taking into account cash flow, years on the market, current market coverage, and other insights. The token would then generate essential data about your project, through which investors from all across the globe can be attracted. This essentially is how IoA works.” This perfectly resonates with the prime objective of BANKEX, i.e., to develop a decentralized capital market platform. BANKEX’s core product, the Proof-of- Asset Protocol, compliments and completes the IoA framework as it solves the issue of non-fungible asset liquidity. In a broader sense, Proof-of-Asset Protocol integrates BaaS (Bank-as-a-Service) with blockchain technologies. It implies that the product tokenizes a financial asset and then turns it into money for banks. This idea is realized by creating a pool of similar assets, thereby creating a marketplace, through which banks can benefit from liquidity and investors from reliable and transparent cash flow. The Proof-of-Asset Protocol can be applied to any physical asset that can gain advantage through enhanced liquidity and secured blockchain-based tokenization. It is because of the value that BANKEX brings to the capital market arena that the firm has been listed in the top 50 fintech startups in by Financial IT’s Pathfinder rankings in 2017. Following suit, BANKEX has been able to attract a diverse clientele that have immensely benefitted by implementing the firm’s solutions. In the latest deployment, BANKEX delivered MediaToken for Instagram influencers. MediaToken is a technology solution that tokenizes Instagram pages so that influencers can raise capital against future earnings from brands and advertisers. Clients like @TurismoSpain can use this new capital to focus on growing their followers and producing higher quality, more refined content. BANKEX is currently building its Plasma Protocol, which enables faster transactions on the Ethereum blockchain network with no cost. It opens access to the mass market for the banks, payment systems and financial institutions that need to reach 100,000 transactions per second. Additionally, BANKEX endeavors to launch several other verticals within the US with the goal of bringing large financial organizations to one platform where they can raise money for their businesses.